The Diploma of Ministry is done in addition with the Certificate of Leadership Training. We will cover ten subjects in our Diploma of Ministry plus 5 electives from Certificate of Leadership Training. 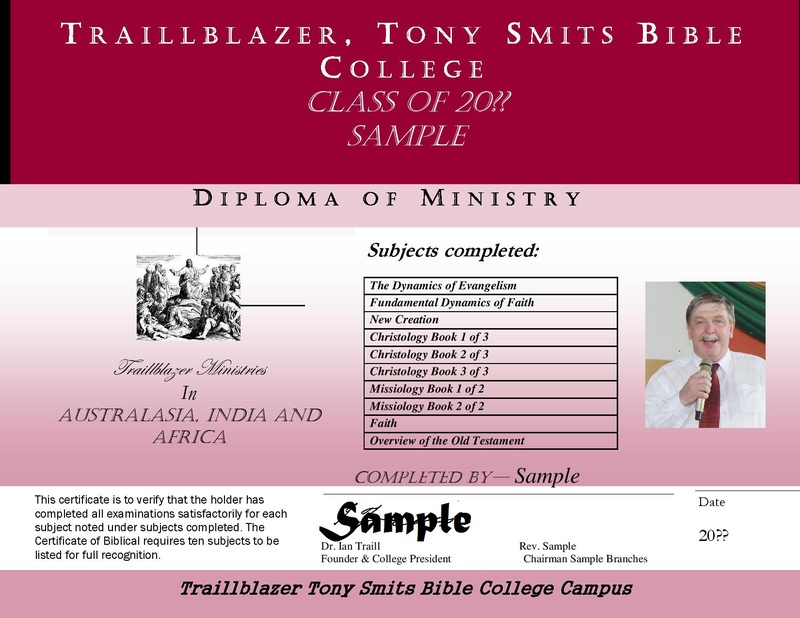 On successful completion you will receive a Diploma of Ministry.